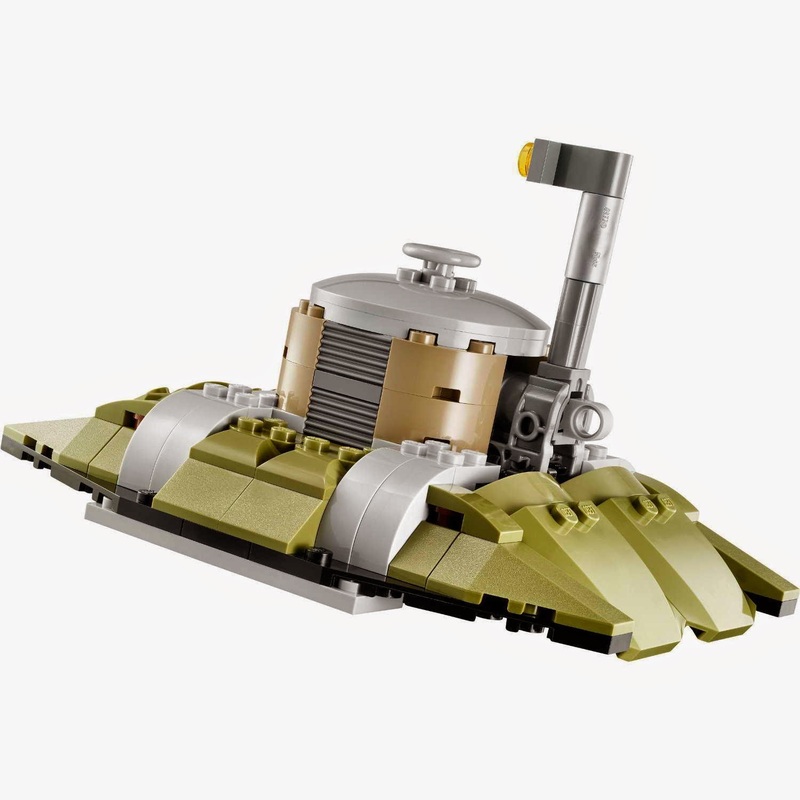 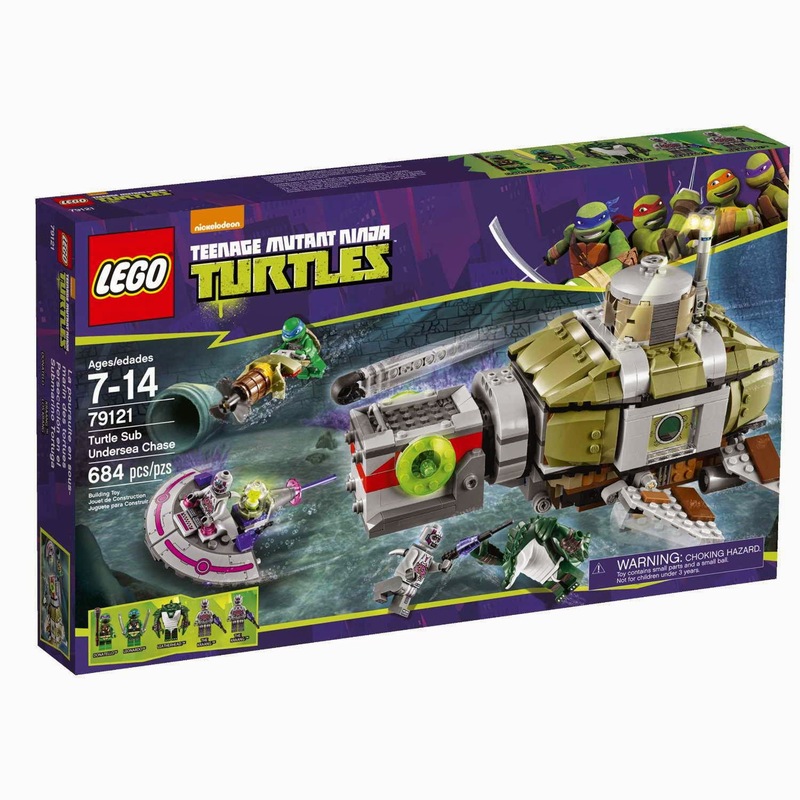 come with a turtle submarine and a small kraang submarine. 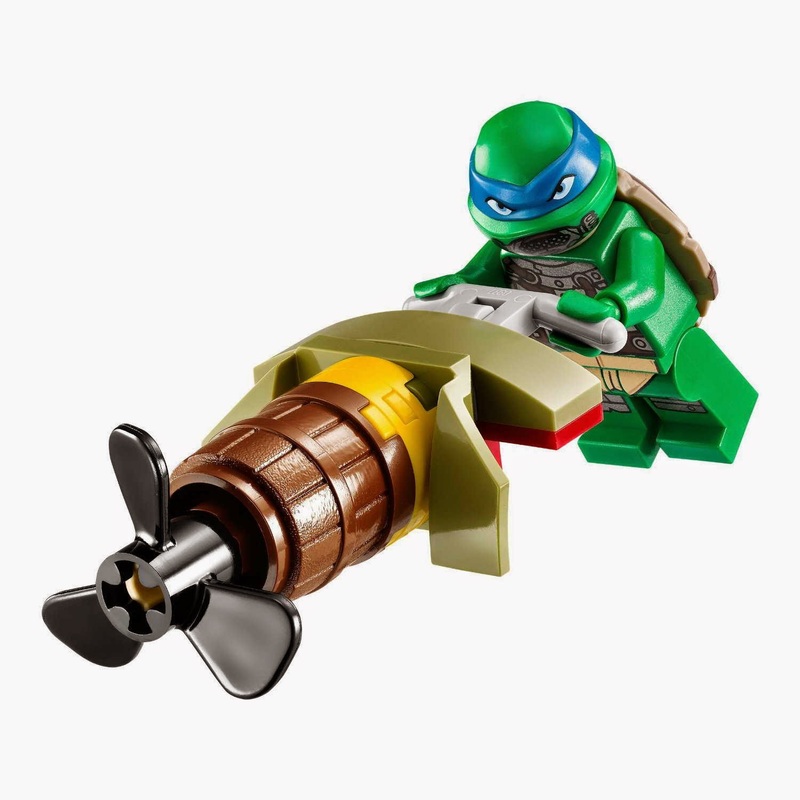 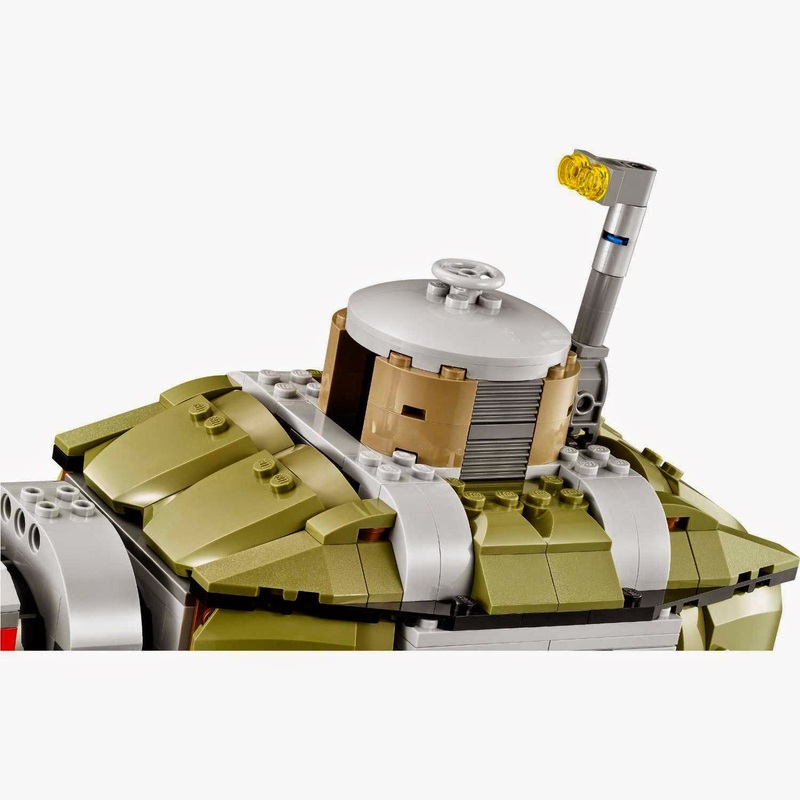 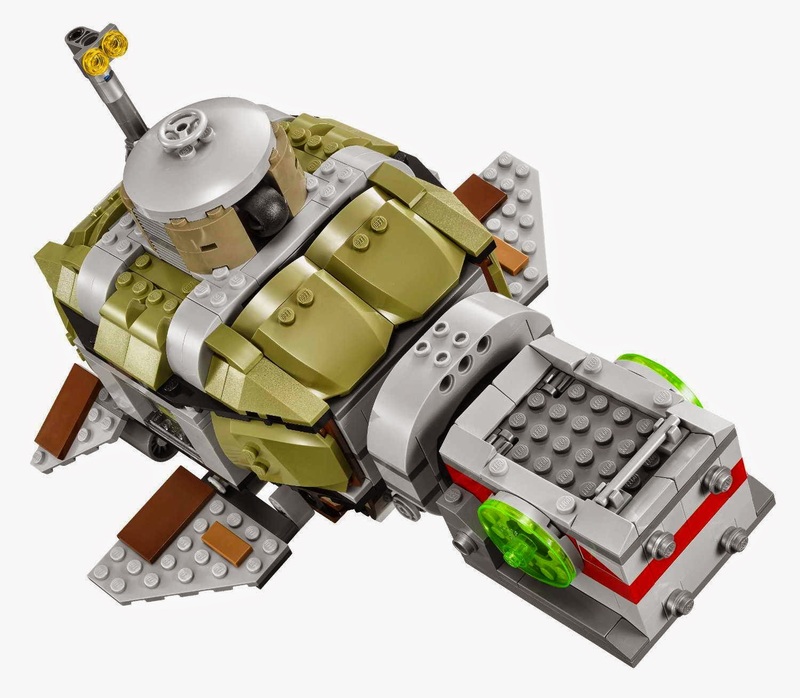 the turtle sub has an openable top shell and cockpit, control panels, a shooter, flapping fins, a periscope, an armory storage, an exercise bike and an openable hatch for releasing mini sub. 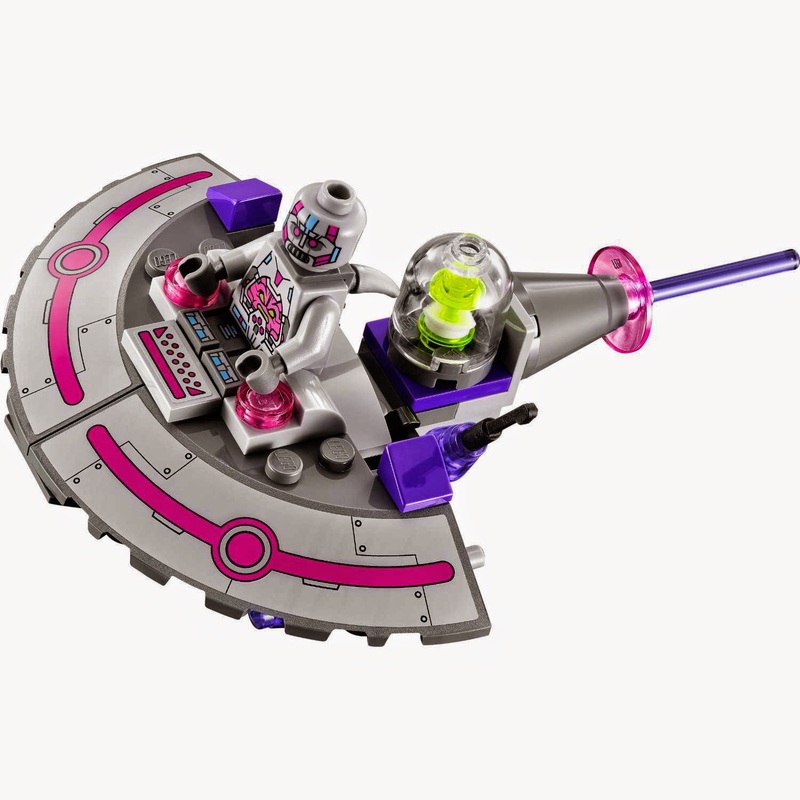 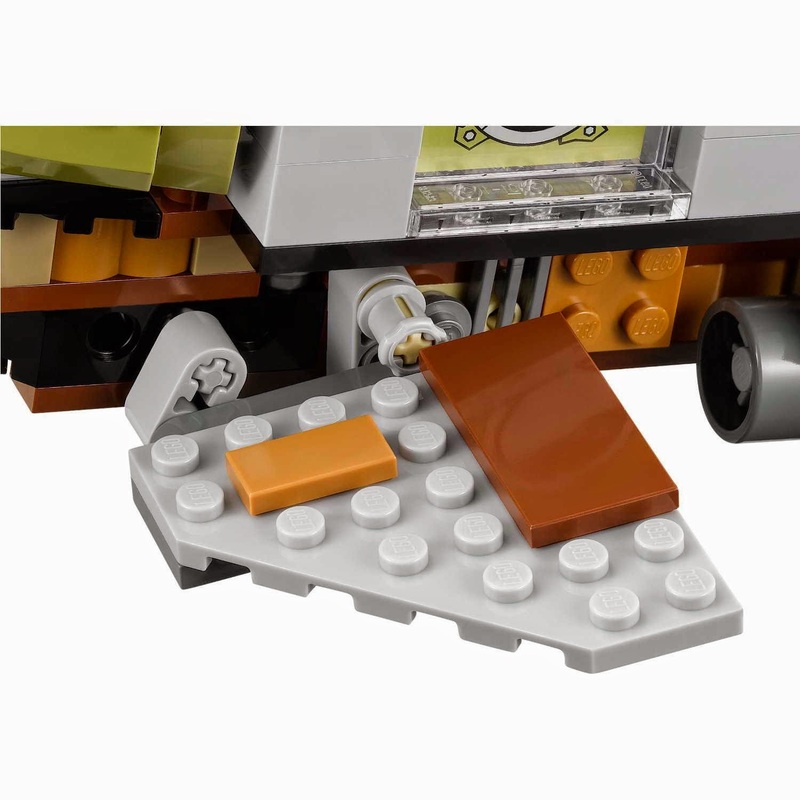 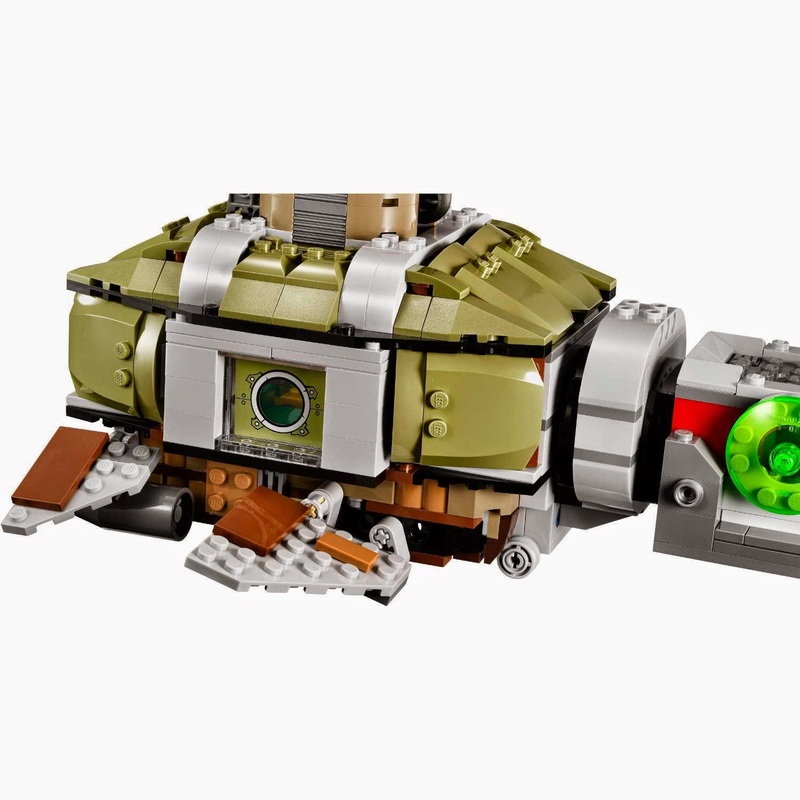 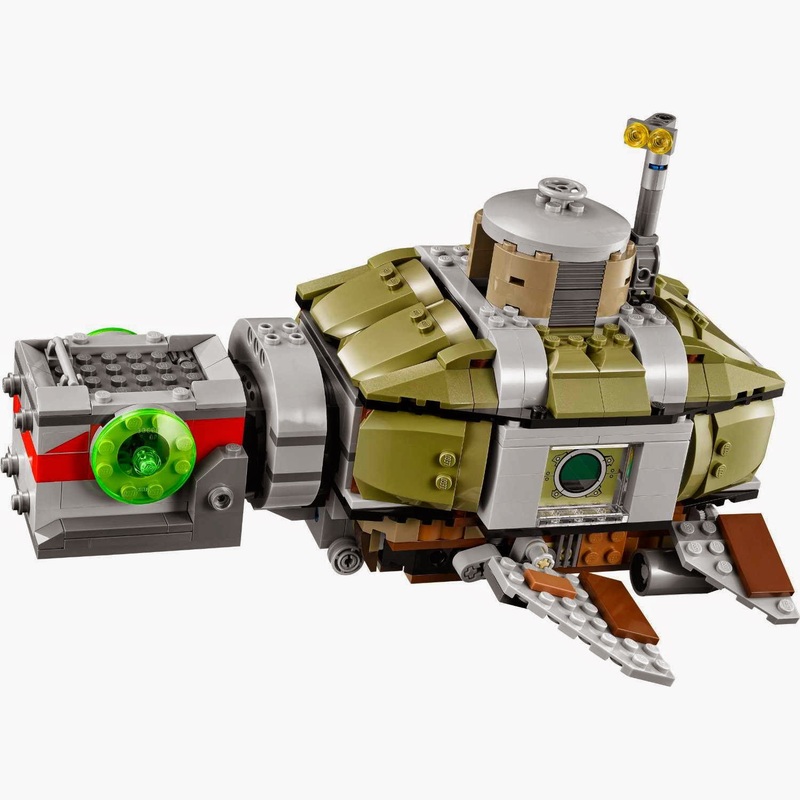 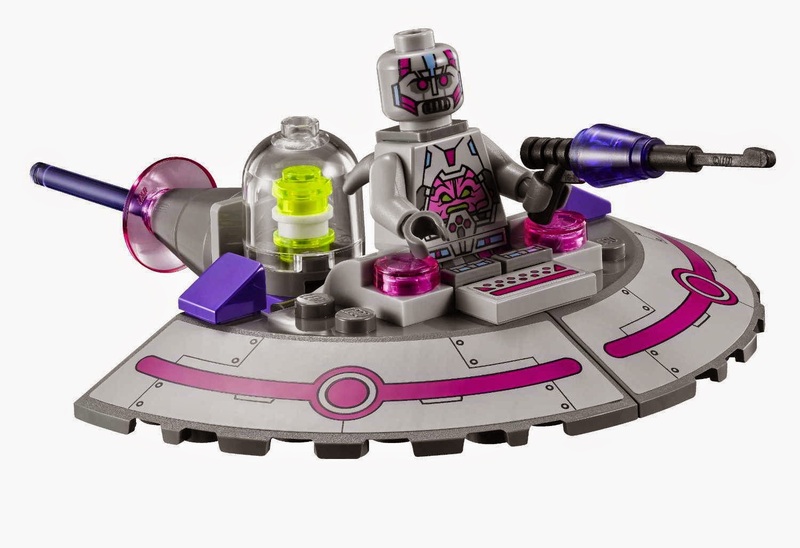 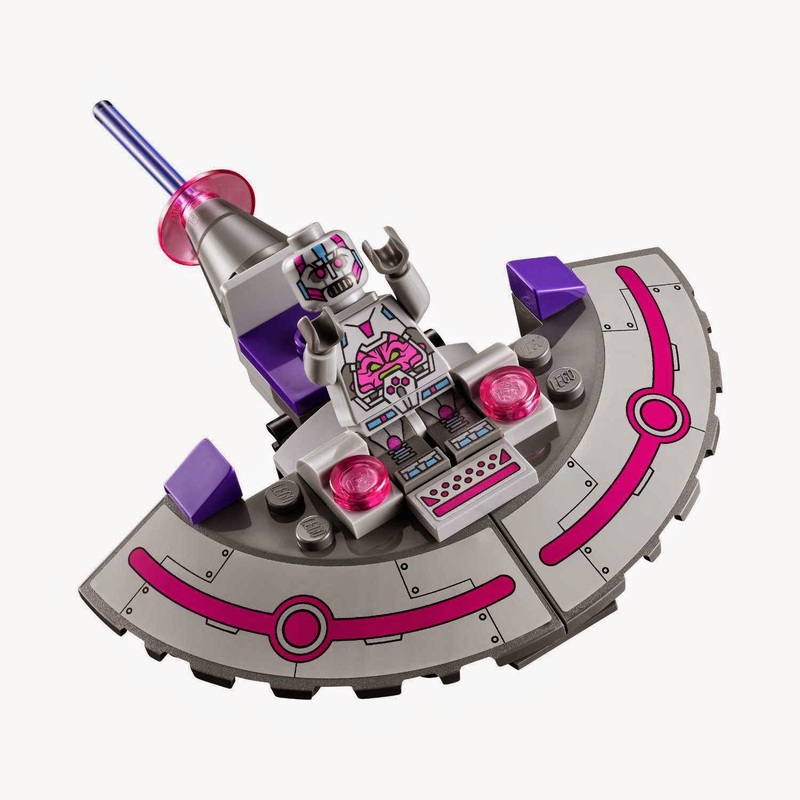 the kraang sub has a flick missile, a computer dashboard and a power cell. 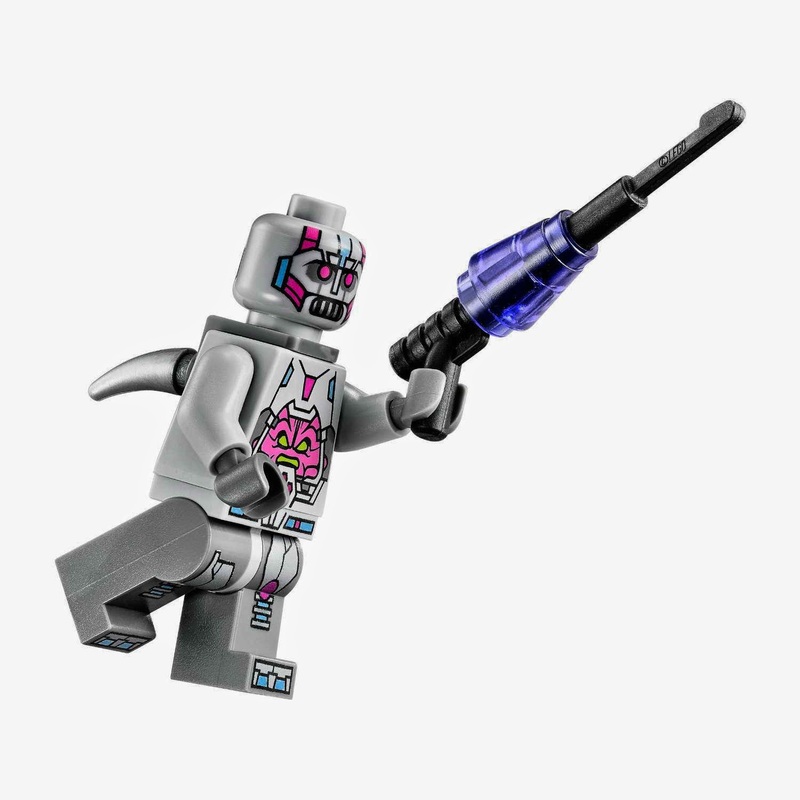 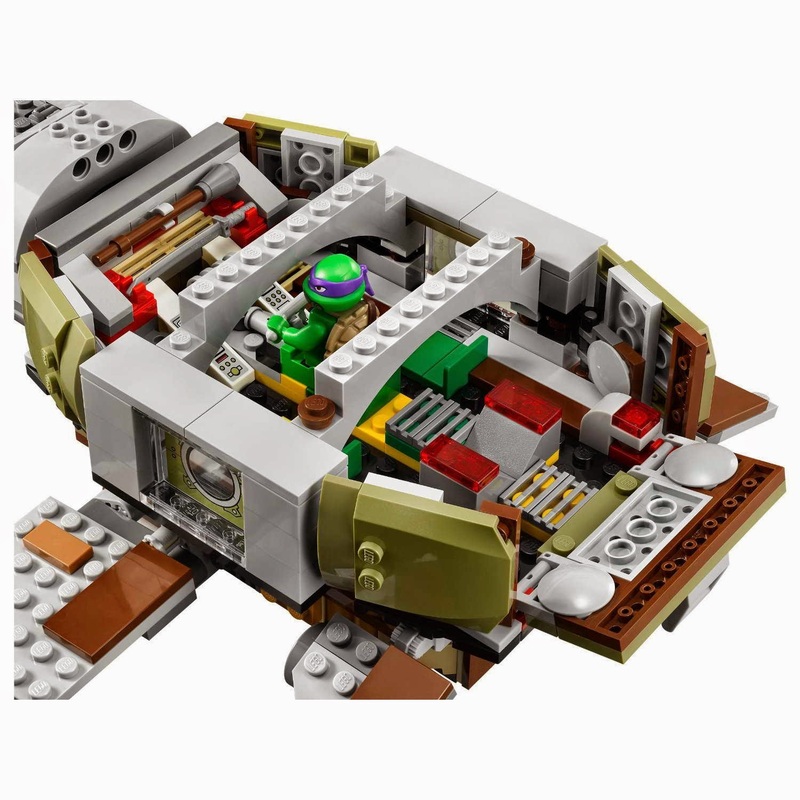 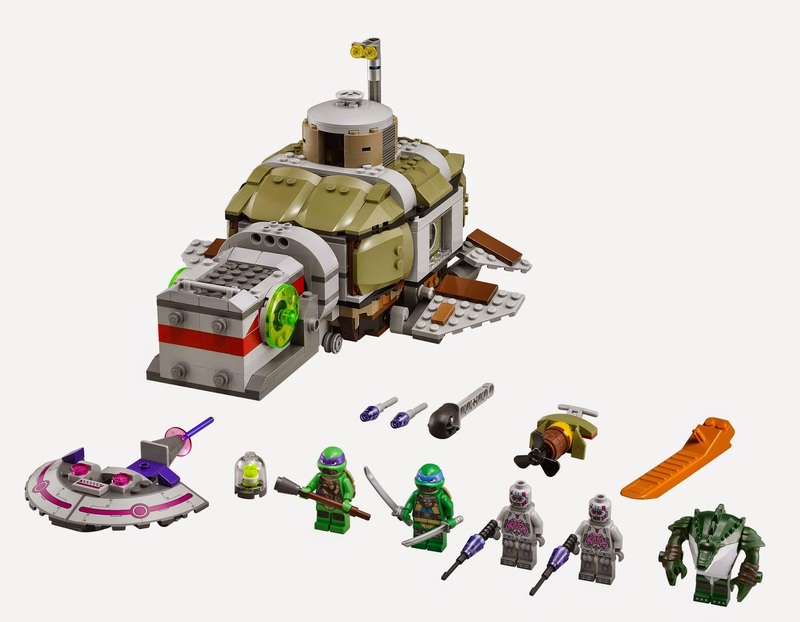 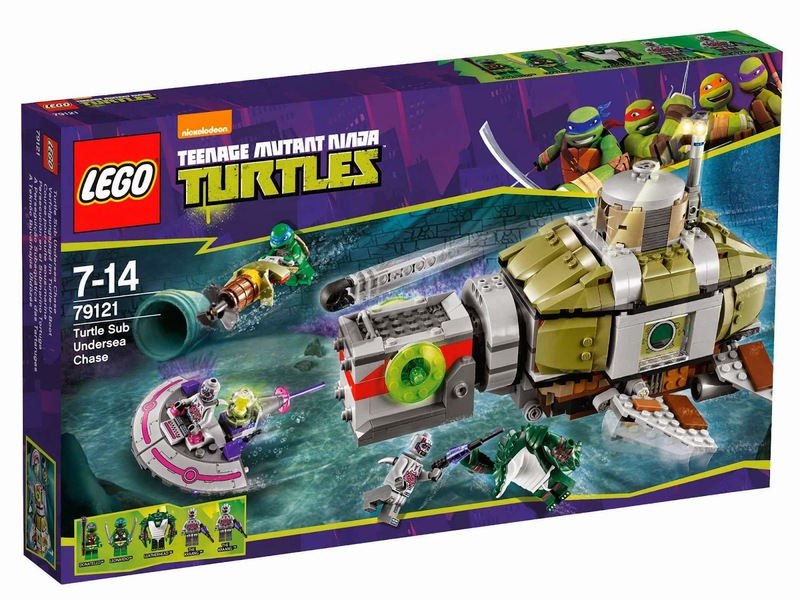 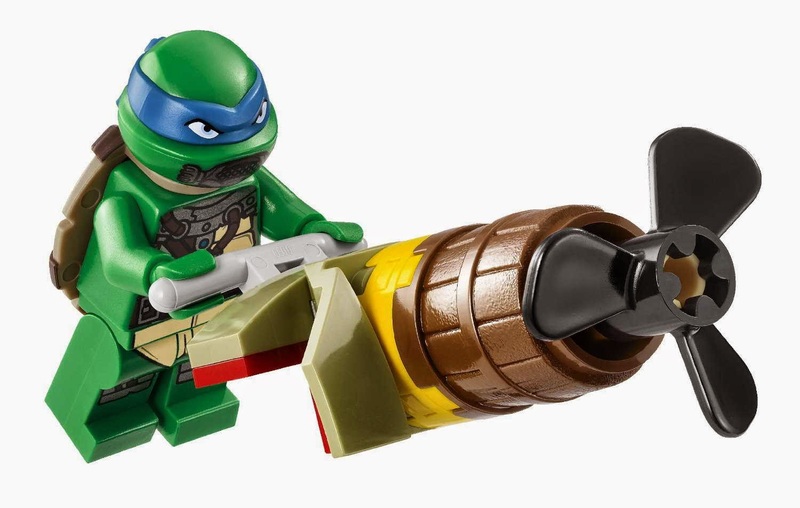 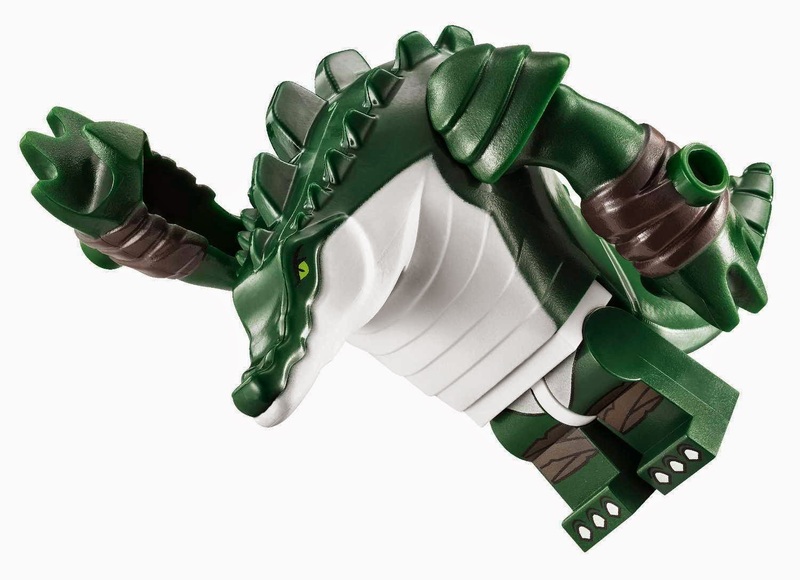 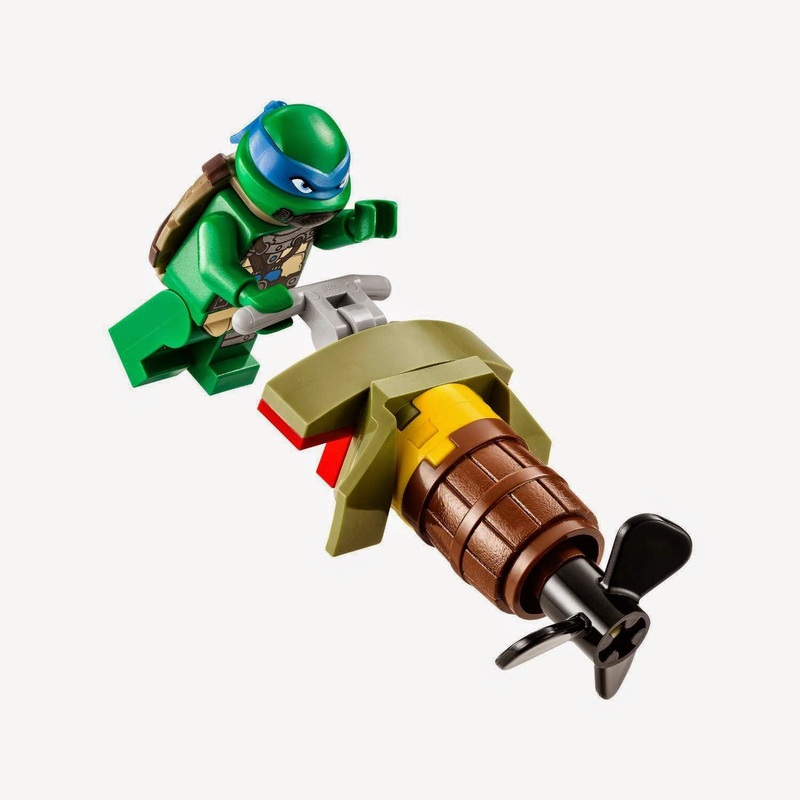 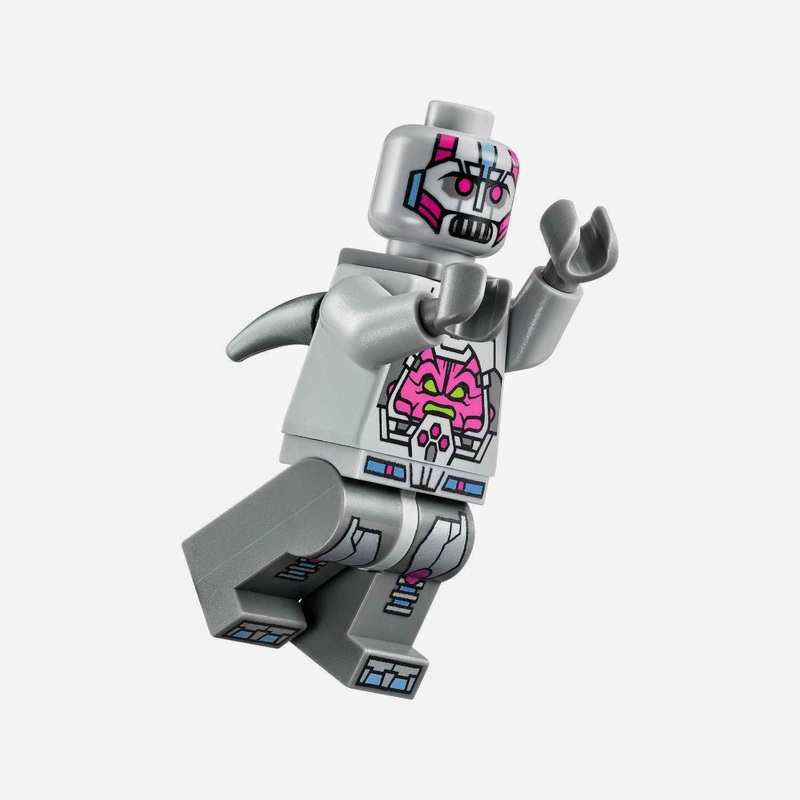 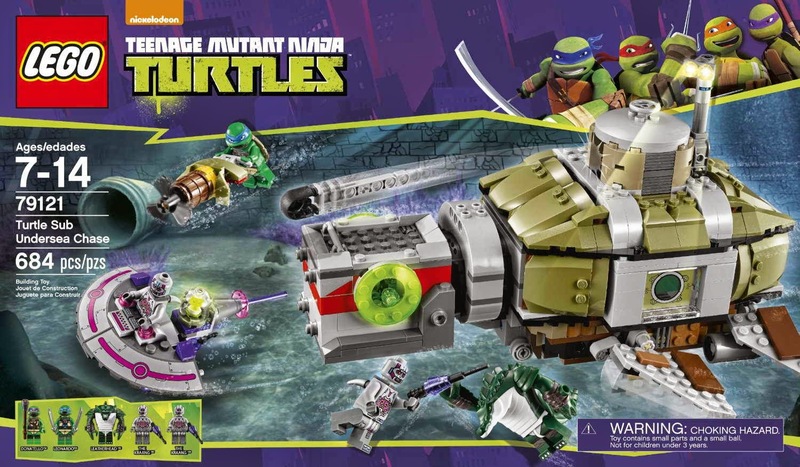 minifigs included a donatello minifig, a leonardo minifig, 2 kraang minifigs, an a leatherhead minifig.